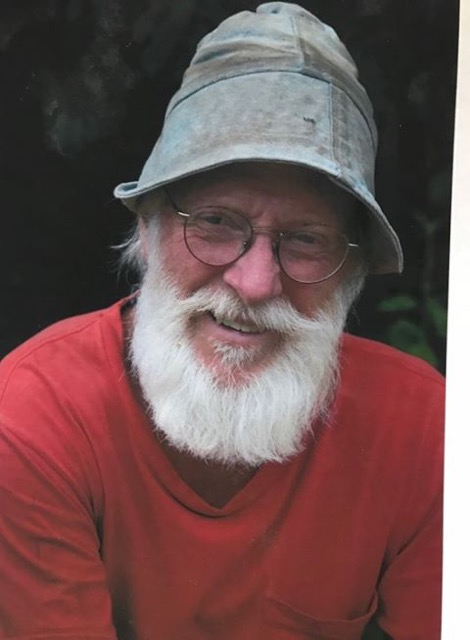 Farmer Bill Thayer died at home early in the morning of April 1 at Darthia Farm, Gouldsboro, surrounded by loving friends and family. He got up at 4 am every day, put in a full day’s physical work, fell asleep every night after supper, sitting in his chair. He made the farm and the community a better place. When he had his accident he was doing what he loved most, working his horses, Andy and Star and cutting wood in his woodlot. He was a good father, grandfather, great grandfather, husband and friend. He raised hell as a young man in Boston and then tried out the insurance business, which wasn’t his passion in the least. He then went back to school and became a special education teacher working with emotionally disturbed children. Forty-six years ago he married his child bride, Cynthia. Farmer Bill and his family moved from Massachusetts to Maine in 1976 and with the help of many young apprentices and old mentors, carved out a vital organic farm where they raised vegetables, animals, and farmed with Bill’s beloved horses. He loved his community, serving as a Gouldsboro selectman for many years. He loved playing the drums in his many bop jazz bands and worshipped in the church of Dizzy, Ella, Monk, and Coltrane. When Bill was hospitalized for his injuries, his grandson, Eric, wrote the following, “He’s the strongest man I’ve ever known. He is the best man I’ve ever known, and if I can be anything like him, I’ll be happy.” And our friend, Brendan, said, “I’ve been driving thinking of all the moments, the life scenes where Bill and Cindy have touched my life. They are full color. Candles, sheep skin rugs and the twinkle in Bill’s eyes. I was just saying to Candace how Bill is timeless. How he could have existed in any age as a warm and steady presence. I keep saying to him, ‘Hold on so you can say goodbye the way you want to.’” And he did. Farmer Bill was helped in his gentle passing by his wife, his son Tom and Riley, his daughters, Sara and Amy, his grandchildren, Leila, Brianna, and Ruby, his sister-in-law, Lisa, Don, and loving friends, Liz, Shepsi, Wendy, Becky, Art, Sheila, and Seppy. Bill was predeceased by his parents, Barbara and Carl, his granddaughter, Melissa, and his brother-in-law, Peter Underwood. Cherishing many memories of Bill are his wife, Cynthia, his children, Sara, Amy, Alison, Tom, and Robin, his grandchildren Eric, Leila, Sinai, Ellen, Ruby, Laura, Brianna, and Susie, and great-granddaughter, Angelia. Throughout his life he loved and nurtured many other youngsters including, Ella, Maiah, Margaret, Hannah Rose, Pepin, Celeste, Per, Brendan, Ryan, Harbor, Cedar, Chris, Josh, Jonsie, and many more. His Canadian family will miss him. Lisa, Don, Bob, Wendy, Sarah, Amy, Jonathan, Charlie, Ali, Josh. Darthia Farm will continue to give tours to school children and provide organic food to the community under the stewardship of Shepsi and Liz. He was buried on his beloved farm next to his granddaughter, Melissa. A Celebration of his life will be held at Hammond Hall in Winter Harbor on Saturday, April 6, at 3pm.